"Chaos Within" - 24x36 - Original Art displayed in Frazier LLC Homes in this year's 2018 Cincinnati HomeARama. Partnership with Sara from Robert and Stella for "Bloom Collection" consisting of three copper foil notecards with lined envelopes. Honored to have been featured in Lindsay Scholz blog where I share my journey and give advice to fellow women who are chasing after their dreams. Performed a three hour live 48x72 painting that captured the colors and inspiration of "Reveal", the event's theme! Original artwork and writing featured in Belong Magazine, a quarterly digital and print magazine celebrating the art and community of blogging, social media and entrepreneurship. 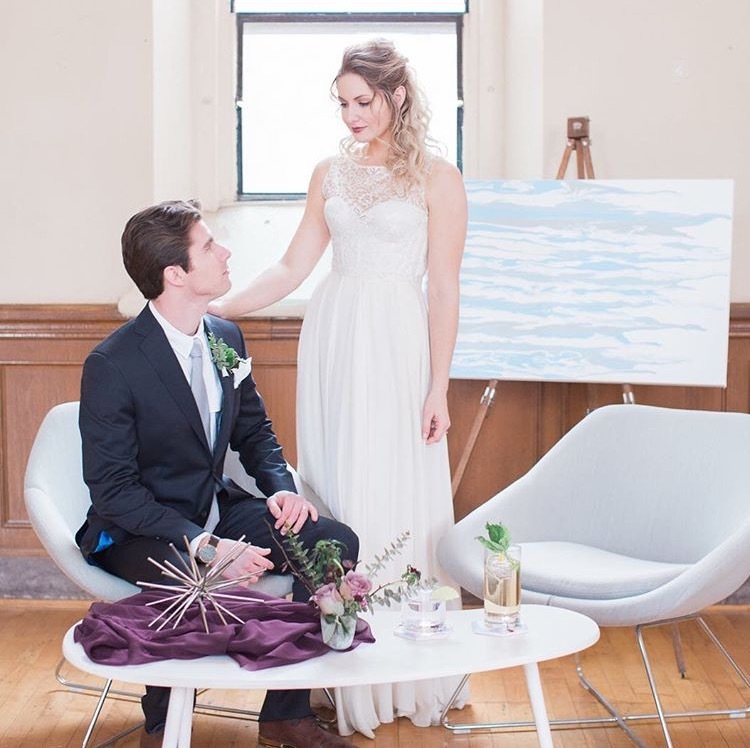 It was an honor incorporating my original custom art work in the Cincinnati Tuesdays Together Stylized Shoot. Art has a beautiful place in weddings, and look forward to having the opportunity to work with future brides and grooms. Partnered with Sherbert Shop on two covers for their 2018 Happy Balance Planners! China from Olive Paper Co and I collaborated on "Cheers to Custom Coasters" where individuals were able to choose up to three colors and what they would like written on them. incredibly honored to have been interviewed and featured in Five Dots blog where I open up about my struggles and triumphs as an individual and artist. Partnered with Greetabl, an online one-stop-shop for creative and personalized gifts on this pretty copper "Lucky Penny" box design! Blush and Mauve Stylized Shoot was featured on Hey Wedding Lady blog. Loved teaming up with Jen from Jen K Calligraphy to create a custom envelope liner that paired beautifully with her stunning invite suite. 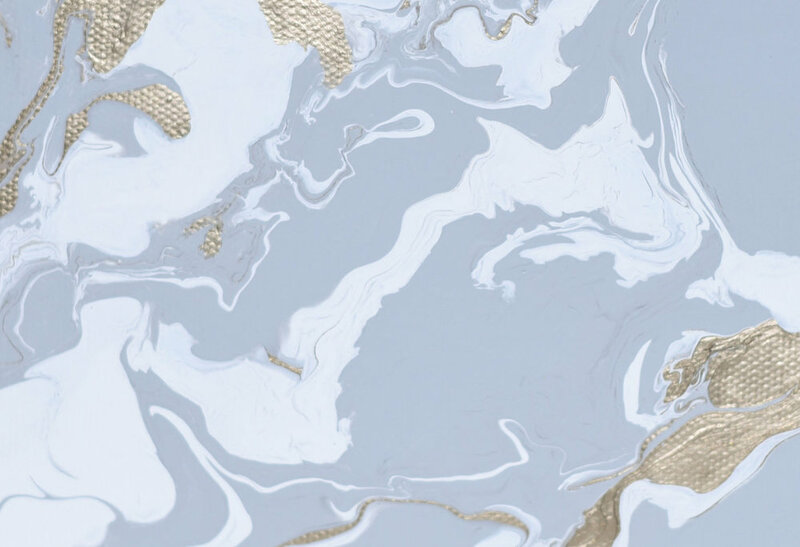 Loved working with Keri, from Candidly Keri on four custom wallpapers that captured the beauty and power of the "The Future is Female" movement. Listen in to my first ever podcast with The Real Female Entrepreneur where I share my personal struggles and how they have inspired me as an artist.